For the higher voluntary intake of minerals and trace elements. Our most popular Equine grazing pasture seed mixture plus deep rooting, mineral rich forage herbs will not only produce a far more diverse forage but will also provide the mid season grazing properties associated with a well constructed permanent horse pasture. 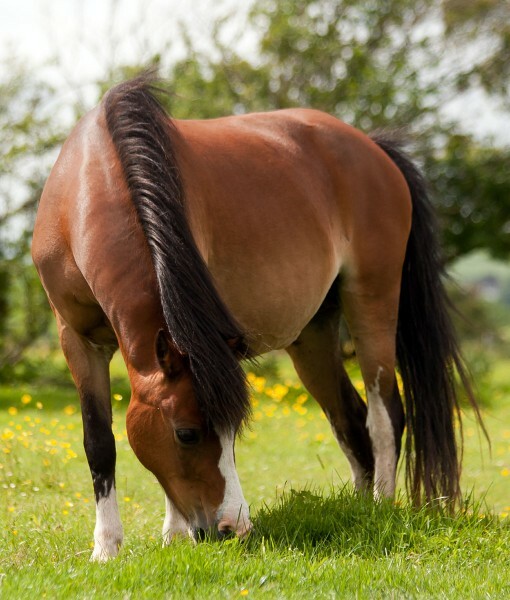 Utilising a wider range of grass and forage herb species is not only; proven to be beneficial for the grazing animal but also significantly increases the length of the growing season without compromising the durability and persistence of the sward. Plant diversity also maximises forage production during adverse weather and aides faster recovery from hard or persistent grazing.